This post really does bring back memories for me. I've mentioned it before but when Big J was little he loved CBeebies. Tweenies, Teletubbies, Balamory and Mr Tumble. When that time of day came that CBeebies was going to bed Big J would cry his little heart out. As soon as the goodnight song would come on his lip would quiver and the tears would flow. If we turned the TV off before the song started he would still cry and it was probably worse. This week little J received a CBeebies Sweet Dreams with Squidge. It is so soft and cuddly and it plays the CBeebies Goodnight song. It brought back a lot of memories. I knew little J would love it straight away because he just loves anything he can cuddle, press, lights up and makes noises. 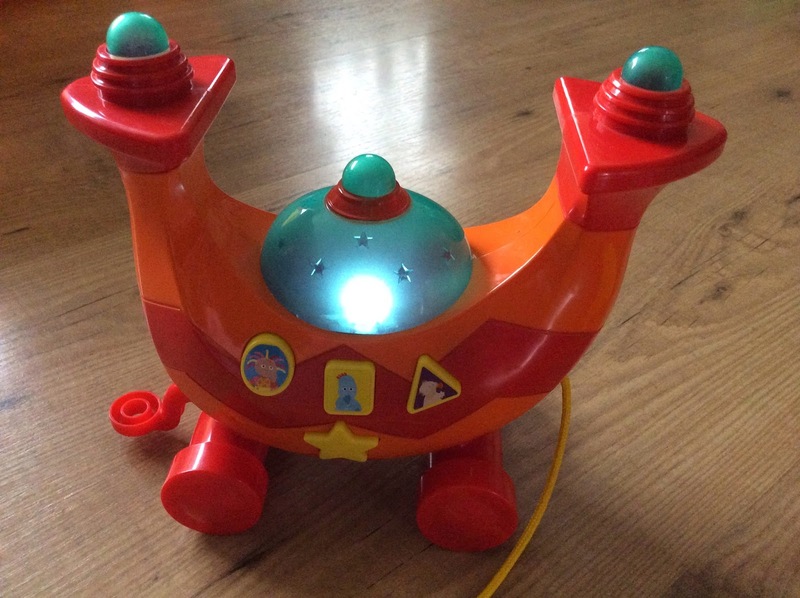 Once we showed little J how to start the song (by pressing the star at the bottom) he can easily switch the music on, press it again and the song stops. As well as singing the song Sweet Dreams with Squidge lights up too. Little J had slept with Squidge the night before and wouldn't put him down so he joined us for breakfast. The squidge is really soft so little J decided to snuggle up while watching Mike The Knight. The lights on squidge are soft and will stay on for the song but once the song finishes they go off. If you want to hear the song again or see the lights you will have to press the star again. We leave squidge in the cot overnight and every morning we have been awoken to the song. Its our new alarm clock. I find myself singing it throughout the day too. The squidge is suitable from 10 months + and is 23cm tall. He is super soft and wears a lovely blue night cap. Lights glow softly whilst the song is playing. RRP is £19.99 and is made by Golden Bear Toys who have a Cbeebies range. If you would like to own a squidge of your own - click HERE to enter my competition to win a Sweet Dreams with Squidge. Since our recent visit to Cbeebies Land in Alton Towers little J absolutely loves In The Night Garden. I had heard of it before but we had never watched the programme. He has a few toys now including an Igglepiggle taggy which he loves and takes to bed with him every night. Probably his favourite toy at the moment is his NINKY NONK musical activity train. He loves it and has played with it every day since it arrived. This is little J's favourite. The Musical Pull Along Engine from In the Night Garden, is perfect for little J. He loves anything that makes a noise, lights up or sings and this does all 3. 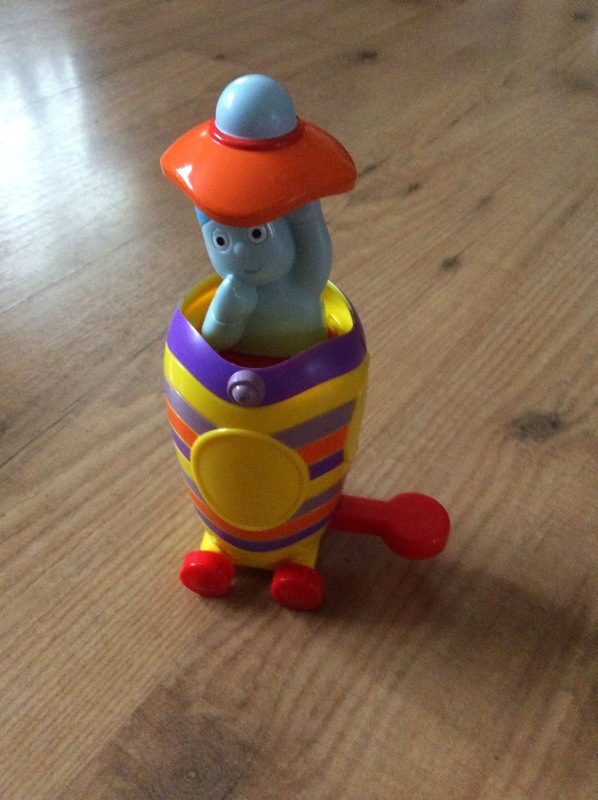 There are 3 buttons on the NINKY NONK engine and each one when pressed plays the characters theme tune. Little J keeps pressing them over and over again. There is another button shaped as a yellow star and this is perfect for bedtime. When you press it the NINKY NONK lights up and plays a lullaby. The NINKY NONK also has a yellow cord attached and when pulled plays a tune. Little J isn't walking just yet but he will whizz it across the floor. Little J really likes this part of the train, and I actually do to. The shape sorter comes with three blocks which are different colours, shapes and has characters featured on them. Once little J had sorted the blocks I showed him that you can press down on the plunger and the carriage spins. The next part of the train is a stacker. Little J isn't too fussed on this part of the train. The carriage features two Harhoo blocks that you can use to stack alone or you can stack on top of the carriage. They need to be stacked and clipped down to stay in place and little J just finds this a little to hard and gives up but I'm sure in time with practice he'll master it. Again this is only a small toy so can easily fit in the hand. You open the doors and inside are Pontipines and Wottingers. Little J likes opening the door but not as much as pressing the button on the roof which has a clicking sound. Overall little J loves the NINKY NONK Musical Activity Train. The fact that it is 5 toys in one is really appealing as I know how easy it is for little ones to become bored quite quickly. The train has lots of activities to do on each and when put together its a great pull along too. Its very bright and colourful and if your little one isn't a fan of In The Night Garden already I'm sure they will be after playing with this. I often find myself singing along to the songs. You can view more information on In The Night Garden HERE and you can buy the NINKY NONK Musical activity train HERE Does your little one like In The Night Garden? If you didn't know already we love everything Disney and always have. This week Big J got to play on his favourite online game Club Penguin while it was taken over by Frozen. I can't believe that the summer holidays is almost at an end. Where did the time go? I have always loved the summer holidays, spending time with my monkeys is the best and I miss big J when he is in school. You may have already read here that Ramada London North gave us a room for the night before our day out at Lollibop. We had travelled for almost 4 hours from being away for the week so we were exhausted and were looking forward to a nice sleep to recharge our batteries.We rang on the way to make sure that we had the correct postcode and also that there would be a travel cot in the room when we got there. Daddy loves anything electronic so when we were asked to try out the Motorola Moto G I knew this was a job for Daddy. Daddy has been trying it out and has written the post below. Chang to get the season started. As the football season has just begun the boys have gone football mad well Everton mad to be precise. Both Daddy and big J are big Everton Fans and have just purchased the new kits and Daddy has been enjoying the Everton sponsor Chang beer. As most of you know little J spends most of his time in and out of hospitals and he has done since he was born. Whether its attending appointments or visiting specialists, it sometimes feels like a second home. He has already had one 'failed' operation to try and correct his toe and will be due another in the next few months. 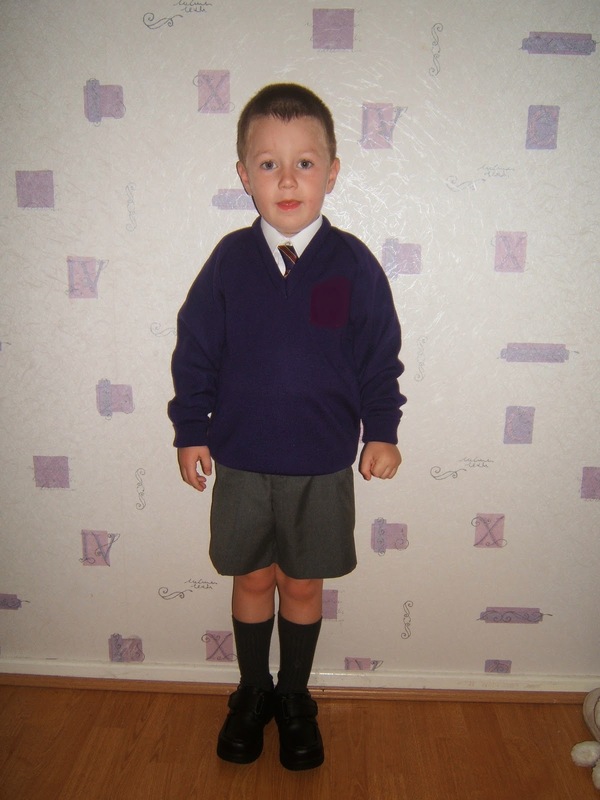 I am hoping by the time he is older all these appointments will have stopped and he wont be able to remember just how much time he spent see doctors and nurses. The one thing that does upset me is just how many children you see around the hospital. Some just with cuts and bruises but others who look really sick and look like they have been in there for a while. Its so sad and it must be very scary for a child to be in hospital, especially if its their first time. Lots of machines, gadgets and bleeping noises. I recently came across Monkey Wellbeing and I just fell in love with the idea and asked Helen if she would write a post for me, explaining all about Monkey Wellbeing so that I could share it with my readers. image copyright - 2014 Platinum Films /Dream Mills Inc. All rights reserved. Matt Hatter Chronicles is an adventure comedy series on Nickelodeon and CITV. Very popular amongst children aged 6-9 and If you have a fan at home you will be happy to know I have an amazing prize to be won. Matt Hatter Chronicles 3D puzzles from Tactic Games have an awesome 3D effect which can be seen through the 3D glasses included. Mummy 2 Monkeys is giving you the chance to win a Matt Hatter Chronicles 3D Heroes and Villains 200 piece puzzle in my competition below. Just answer the simple question and complete the entry form. Don't worry if you are not the lucky winner you can purchase from Argos or Amazon and for more info visit Tactic. Matt Hatter Chronicles Best of Luck *Terms and Conditions* Competition closes on Saturday 30th August 2014 at 12AM Entrants must have a valid UK address Bulk, third party or any other entries using automated software will be disqualified All entrants and entries are checked and verified. All entrants must follow the mandatory steps and answer the question as a blog comment. 1 lucky winner will be chosen at random by the Gleam application. Mummy2Monkeys will contact the lucky winner within 1 day of the competition closing The winner must respond within 7 days. I f no response a new winner will be chosen. The prize is 1 x Matt Hatter Chronicles 3D Puzzle There is no cash alternative. It will be the responsibility of the representative of the named company above to issue the prize. The winner must consent to their name and details being passed on to the representative so their prize can be distributed. This promotion is in no way sponsored, endorsed or administered by, or associated with, Facebook. Breastfeeding in Public - Do You Do It? On our recent trip we did do lots of driving across the country and at times it did get quite chilly. We had packed our Skip Hop Zoo Travel Blanket with us and it was perfect to keep little J warm. 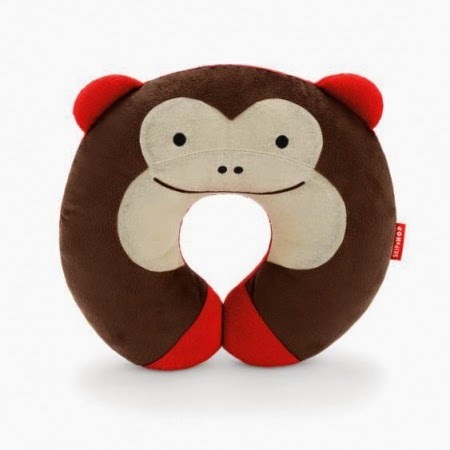 Firstly the monkey design is so cute and perfect for my little monkey, it super soft and very cosy. The monkey face acts as a cushion as well as the pouch. Little J likes to lie on the cushion, its really soft. He actually lay on it before I had managed to take the packaging off. When you open it up, it unfolds into a huge blanket. It is perfect for the car but also at home, when you are snuggling on the couch or just want to cuddle up. So when you have finished with the blanket you just need to fold it back away into the pouch and then you can carry it with you using the handle. The blanket comes in 3 designs, Owl, Ladybug or Monkey. 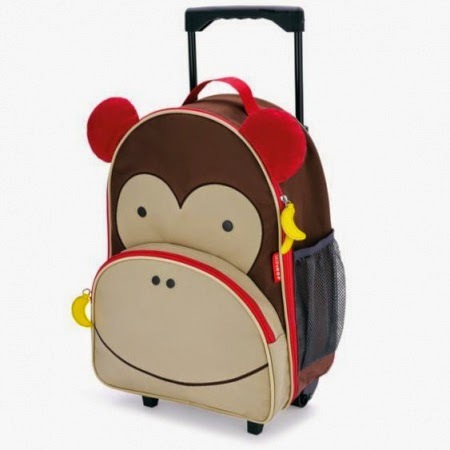 Current RRP is £23 I recently went to Hamleys and saw more of the Skip Hop Travel Range so I am looking forward to adding some more of the range to our collection. We are huge fans of Harry Potter and were really looking forward to making our way down South to the Warner Brothers Studio Tour - The making of Harry Potter I had read all about the tour but I have to say now before I carry on, this really is a must see attraction and reading about it didn't really prepare me for how amazing it was. When we arrived we were greeted by a car park attendant who checked our tickets and showed us to our car parking space. Tickets are timed and we had a ticket for 12:30pm. The tour allows a certain number of guests in at the time on your ticket so it doesn't get too over crowded. When you enter the huge building there are large photographs on the wall of all the characters. There is a cafe to your left and a large gift shop to your right. Straight ahead is the entrance to the tour. It is advised to arrive 20 minutes before the time on your ticket. We joined the queue to enter and as we waited we spotted the cupboard under the stairs where Harry lived. At the beginning of tour we gathered into a room, all the posters from the movies were on the wall. There was a member of staff inside the room who talked us through the posters and the different languages they were in. We watched a short film and then the doors opened and we entered another room which was similar to a cinema. We sat down and the short film started. Daniel Radcliffe, Rupert Grint and Emma Watson appeared on the screen and talked about how this studio had been there 2nd home while they filmed all of the movies there. When the film had finished, the screen went up and behind was the entrance to The Great Hall. When we entered the great hall I was shocked and amazed at how big it was. I wasn't expecting it to be real but it was. It was an actual room, a big hall. It was just like it is on the film except for the enchanted ceiling. The tables were laid out and there was the models stood around wearing the uniform that represents their house colours. At the end of the hall the models of the teachers were stood like in the films. Dumbledore, Hagrid, Snape and a few others. You can spend as much or as little time in the great hall as you want, we took lots of photos and spent time looking at all the amazing detail on the tables and walls. The cabinets had some of the films most precious props such as the goblet of fire, the tri wizard cup and the horcruxes. The potions classroom is a huge set and has so much details with lots of potions bottles and cauldrons. There is also a model of Snape stood in the middle. Big J joined in with a how to use a wand lesson. There was a selection of wands to choose from, he chose a DeathEaters wand. He did really well and would make a great wizard. Just before we got to the Ministry of Magic Section Big J took part in the green screen experience. Here you get to fly a broom or ride in the Weasley car. There was a queue but it moved quite quickly. Big J wanted to fly a broom. He was given a robe which he wore and mounted the broomstic. No cameras were allowed in this section but you have the option to buy a DVD/USB and/or photos. We chose to buy all the photos and the USB. The photos show big J in various locations on a broomstick, they are brilliant. The USB has a 3 minute film and a clip of big J flying through the air and it actually looks like he is flying. The cost of the USB and the 4 photos was £40. You can buy them separately if you don't wish to buy all 4. The Ministry of Magic section is next before you move into an outdoor area. Umbridges office is here, plus the large Black family tree tapestry that is featured in The Order of Phoenix. Luckily the rain had stopped and the sun was shining down when we stepped outside. Big J was looking forward to trying a butterbeer all day and this is where you can purchase it. Unfortunately the hype didn't last very long because after one sip he said it was disgusting. haha. I told him I had read about it and people saying it is an acquired taste but he wanted to try it anyway. It was £2.95 for a small plastic cup and there were other options available including a butterbeer glass too. Daddy had a try and he wasn't fussed either but I managed to get both of them wearing a butterbeer moustache. There are lots of huge sets outside including the Knight bus which is the size of an actual bus and Privet drive. Big J knocked at number 4 to see if the Dursleys were at home. You may have noticed I haven't mentioned little J up till now. He was with us but he fell asleep as we entered the tour and only woke up as we stepped outside. Just in time for his bottle. No food or drink can be consumed inside so if you fancy a drink or bite to eat you will have to wait till you are outside. The bridge is outside and you can walk along it. The Weasley Car is outside and you can sit inside and also Hagrids Motorbike. Once you have finished outside its time to go into the final part of the tour. There are lots of creature props and models of the characters. Big J loves Dobby so we snapped a photo. Dobby looks so small. I never thought we would be able to walk along Diagon Alley but we did. Its a proper cobbled street with Gringotts and Olivanders. Flourish and Blotts with a photo of Gilderoy Lockhart in the window and the Weasleys Joke shop. The best part of the tour for me was the GIGANTIC model of Hogwarts. You can see from the photo of Daddy above just how big the model is. Its so realistic and it took my breath away. It is amazing. They saved the best for last and I honestly couldn't believe how big it was. Once the tour finishes you walk through the gift shop which has so many souvenirs and gifts. Big J was allowed to choose a souvenir and after about 30 minutes of looking round he chose to buy an Elder Wand and a Chocolate frog. I chose a time turner keyring and Daddy chose a marauders map mug. We took over 4 hours to complete the tour/gift shop and we loved every second and I would return tomorrow - it really is amazing. I have never been to a festival or a big weekend concert, so when I got the chance to attend Lollibop I jumped at the chance. It is the festival for little people and perfect for me, daddy and my monkeys. We were away the week before Lollibop so we headed down the east coast on the Friday ready to attend on Saturday. We were tired from the week but every bit excited at all the great acts and activities to see and do. When we approached the entrance to Lollibop there was a huge traffic queue but it went quite quickly. I thought we would be stuck for hours but we were in and parked up with 30 minutes which wasn't so bad. The car park was a huge field with lots of staff directing traffic. We parked in the VIP section, we found a space very quickly and were ready to start our day.